Here’s our list of the 10 Best Restaurants in Sedona according to AGuidetoSedona.com. Bon Appétit! The 10 best Sedona Restaurants for 2018 are as diverse as the red rock spires are beautiful. Which is why dining in Sedona is so enjoyable. Amazing beauty and diversity all perfectly balanced and seasoned to perfection. Within our 2018 Ten Best Sedona Restaurants list you will find a nice mix of food, ambiance and experience that Sedona has to offer. A little something for every dining occasion and palate. How do we come up with our A Guide to Sedona 10 Best Restaurants list? Our 2018 10 Best Sedona Restaurants list offers a little something for everyone. This isn’t intentional. As for how we decide the top 10, we keep it simple. There are 4 factors. 1. Food. 2. Drink. 3. Ambiance 4. Our overall experience. We don’t play favorites. But we do have favorites, it’s our list. If a restaurant makes this list, we thought they were pretty awesome and amazing during our visit(s). Our 10 Best Sedona Restaurants list will obviously change from time to time, maybe even within the year as new restaurants come up or as others evolve. So we promise to keep eating at these amazing places and sharing our experiences with you. Mariposa Latin Inspired Grill is a one of a kind Sedona dining experience that is second to none. Chef Lisa Dahl delivers on every intention that she manifested into reality with Mariposa. This place was literally built with the intention to share the very best that Sedona has to offer as true north. We feel Mariposa delivers on all counts! The minute you enter, Mariposa transports you into a magical dining experience, where every seat in the house is a good one and the panoramic views of Sedona’s red rock majesty or star filled sky provides a magical backdrop to your dining festivities. Chef Lisa Dahl has created something very special in Mariposa. The minute you walk through the door, you just know you are in store for something special and the staff always make sure you are treated as such. The overall restaurant, excellent. The service, excellent. The food, excellent. The ambience, excellent. Enough said. Bravo! 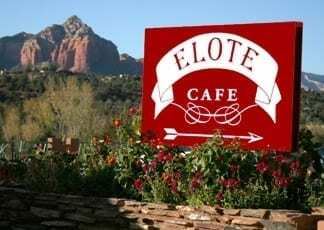 At the Elote Cafe in Sedona, Arizona you have stumbled upon a festive yet humble place that serves up their own creative renditions of traditional Mexican dishes. They are “renown” for their Elote which is fire roasted corn with spicy mayo, lime and Cotija cheese, it’s on the appetizer menu and is worth a visit on it’s own merits! Trust us, you will want this recipe so bring $25 and get the Jeff Smedstad Elote Cookbook! Other dishes we enjoyed are the Lamb Adobo which is a braised lamb shank, sweet and spicy Ancho chile sauce and Cilantro crema. If you want seafood, try the Scallops en Mole Verde which are grilled fresh Scallops served with corn cake, Mole Verde and tomato jam, WOW! At Elote Cafe, Chef/Owner Jeff Smedstad never disappoints. 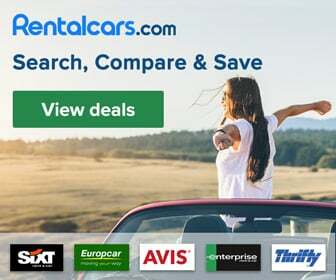 You will find great food at moderate prices (a rarity in Sedona) and an extra friendly staff who are unfazed by the crazed tourists who end up coming back multiple times during a vacation for dinner. Yes, it’s that good! Like pairing a fine wine with the perfect meal, Cucina Rustica and Sedona are the perfect match and deliver an amazing dining experience. Once you pass through the old world gates outside and enter Cucina Rustica, the world outside melts away and you know you are in for an enjoyable experience. Founded in 2003, Restaurateur & Chef Lisa Dahl has been serving her vision of Italian cuisine to rave reviews & multiple awards ever since. Chef Dahl’s mantra, “The doorway to the imagination awaits you” is clearly evident as Cucina Rustica transports you to a romantic old world villa serving amazing food and a staff that attends to every detail. Cucina Rustica is always on our list of things to do in Sedona and it should be on your’s too. You know you’re in for an amazing experience when you enter the beauty that is the L’Auberge de Sedona and enjoy fine dining at Cress on Oak Creek. The menu is inspired by nature and constantly evolving. Hand selected ingredients are showcased in a prix fixe menu that is enfused with creativity, flavor and the natural beauty of the environment. Cress on Oak Creek features one of Sedona’s most extensive wine lists and is an experience that should not be missed. To get the full experience of this magical place and location, request to be seated on the patio. There isn’t much that can compare to enjoying an amazing meal as the creek gently flows by, ESPECIALLY at sunset. Cress on Oak Creek was named “One of the Top Ten Restaurants in the Southwest” by Condé Nast Traveler and is known for it’s ever changing menu that is seasonal and depends on the harvest. Let’s talk about Rene at Tlaquepaque. First there’s location… tucked in a quiet corner of Tlaquepaque, René at Tlaquepaque presents an enjoyable variety of french cuisine and south western food with a selection of dishes for vegetarian and gluten free palates prepared by talented Executive Chef Walter Paulson. 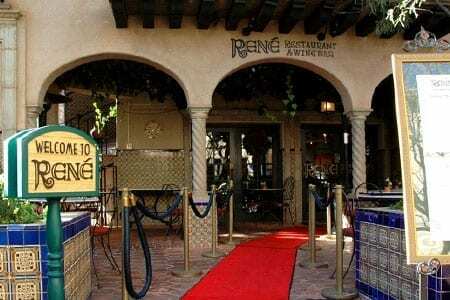 Rene at Tlaquepaque is a perfect blend of “Casual Fine Dining”. No matter whether you choose to enjoy Lunch, Dinner or both, the food and atmosphere will be very pleasing! They say the goal at Rene at Tlaquepaque is, “We want our guests to enjoy exceptional cuisine and an award winning wine list in the surroundings of original works of art and soothing music”. In our opinion, they accomplish this and so much more. And for those of you who like to see stars… be on the look out as celebrity sightings are frequent here. One of our favorite Sedona Restaurants, Chocola Tree Organic Eatery & Marketplace, serves 100% vegan food and we love them for it. You don’t have to be vegan to love the food they serve. So don’t let non vegan appetite stop you from enjoying the food and vibe of this wonderful place. Their food is Delicious! Built upon a guiding vision, Chocola Tree utilizes 100% Organic or Wildcrafted produce including seeds, nuts, veggies, spices, sea veggies… everything! They are also known for their menu which is 95% seasonal, based on what is available locally. They painstakingly work to get all their food within 3 states bordering Arizona and believe in supporting local growers as much as possible. Each dish is created using 100% organic, vibrant foods, gluten- free and processed-sugar free. Some of the food they utilize is grown in their on-site garden. After you eat, be sure to browse their shopping area and feel free to ask questions, the folks at Chocola Tree are very knowledgeable and eager to help and teach. You can also buy many items online, be sure to check out their online store at their website listed below. And on your way out be sure to take some of their wonderful desserts to go… you’ll be glad that you did. Since 1995, Dahl & Di Luca Ristorante has operated by the same mantra as they do today, “Your wish is our command.” This acclaimed Sedona Restaurant is known for their amazing food and even MORE amazing romantic ambiance. As a matter of fact in 2012 AAA Inspectors selected Dahl & Di Luca in the top 5 most romantic restaurants in the nation! As with all Chef Lisa Dahl’s restaurants, when you enter this space, you instantly step into the vision Chef Dahl wishes to create for you. Her mastery of pairing guest experience and service is the perfect appetizer before the delicious food and beverages you are about to enjoy. It’s an art form and Chef Dahl is a true artist. 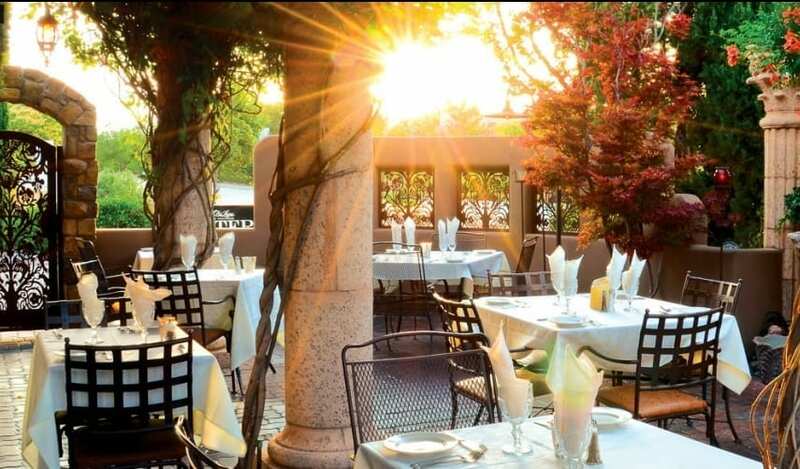 Whether you dine inside or on the beautiful patio adorned with beautiful columns, flowers and cypress trees, Dahl & Di Luca Ristorante is fine dining at its best in Sedona. Delicious food, extensive wine list and romance filling the air… when dining in Sedona, make sure you treat yourself to Dahl & Di Luca! Visit AGuidetoSedona.com’s profile on Pinterest. © 2018 AGUIDETOSEDONA.COM | All Rights Reserved.